Spinach, botanically classified as Spinacia oleracea, has three varieties: savoy, semi savoy and flat-leafed. The savoy spinach has crinkled leaves and is the primary commercial type. Semi-savoy has partially crinkled leaves and is most often processed but can also be found in markets, while flat-leafed is mainly processed. Spinach seeds come in two varieties, round and prickly, the variety of seed having no impact on the type of spinach grown from it. 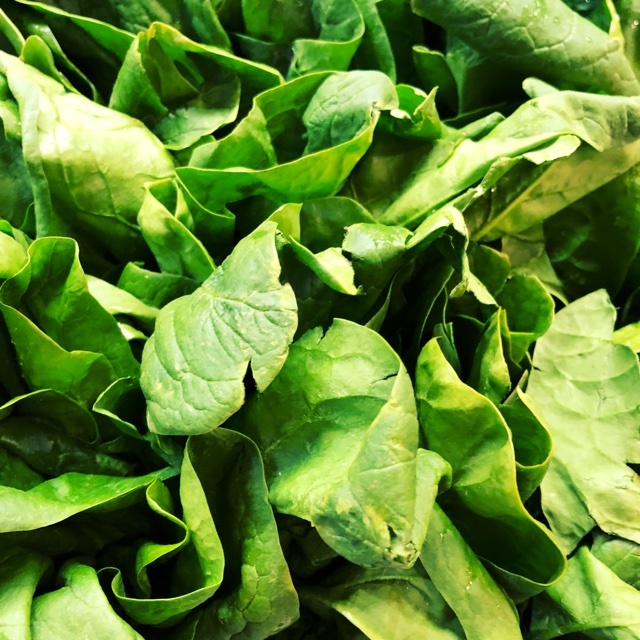 Some trace the name Spinach to a Latin in origin, Spinacia, which translates to "spine" referring to the spiny seed coat found on some spinach seeds. Others say it gets its name from the old Persian word aspanakh. 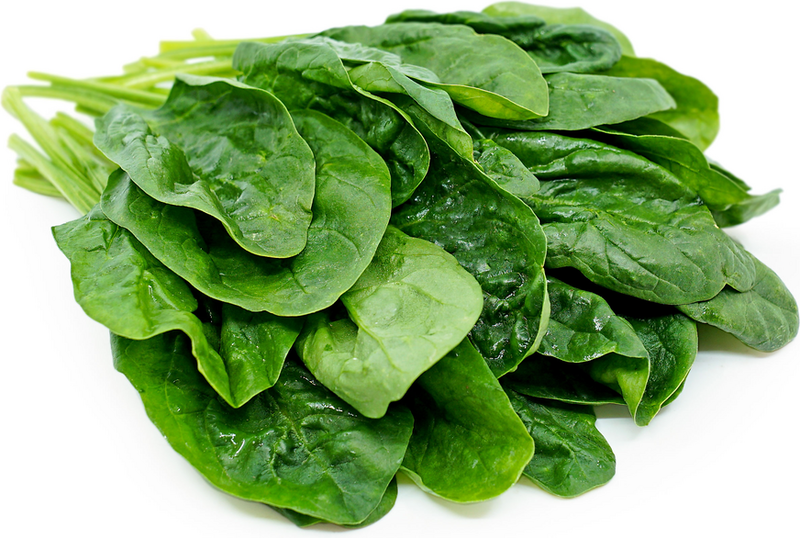 Spinach can be eaten fresh or cook and stands up well to heat, baking and sauteing. Use as in a salad mix or as a dark, leafy green. It is highly versatile and pairs well with spring vegetables, citrus, berries, eggs, nuts, bacon, pasta, cream and fresh cheeses. Flavor with Indian or Middle Eastern spices, creams, ginger, garlic, shallots, chiles and soy. Spinach will keep, dry and refrigerated, for one to two weeks. Dishes that include Spinach are often referred to as “Florentine” or “à la Florentine” in reference to Florence, Italy. It was said that the 16th century queen Catherine de Médicis, who was born in Florence, loved the vegetable so much that she took her Italian chefs with her when she married and relocated to France.  Recipes that include Spinach. One is easiest, three is harder. 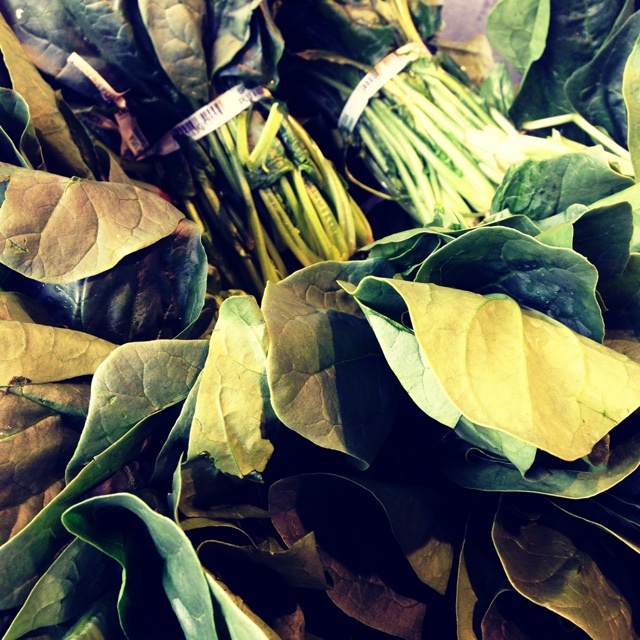 People have shared Spinach using the Specialty Produce app for iPhone and Android. Sharer's comments : Spinach spotted at Little Italy Mercato. 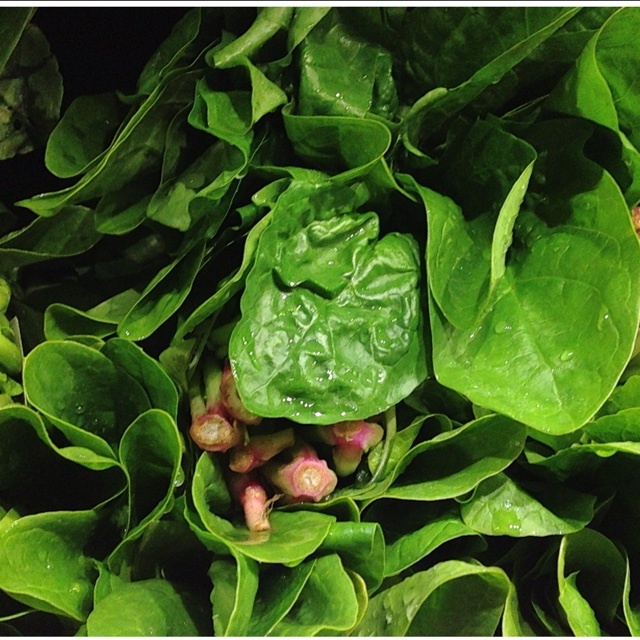 Sharer's comments : Spinach spotted at First Alternative Natural Foods Co-Op. Sharer's comments : Spinach spotted at Pike Place Market. Fresh, local, tender Spinach it doesnt get much better than this! Sharer's comments : Spinach spotted at Whole Foods Market. 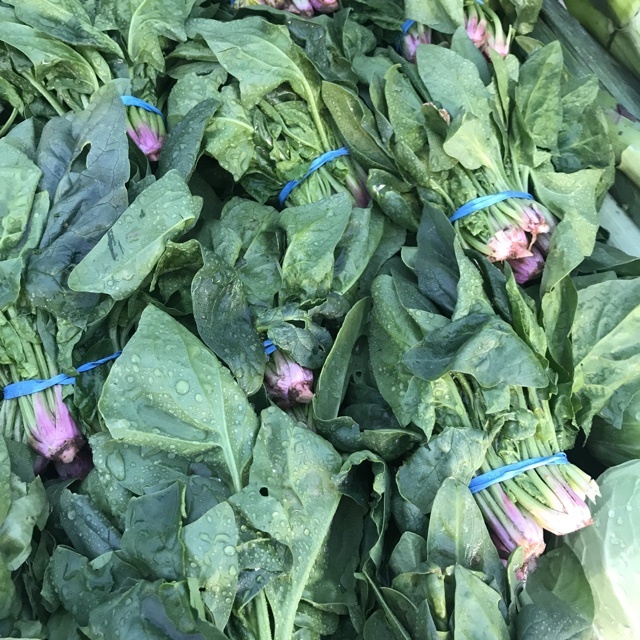 Local Organic Spinach is on sale - $1.99/bunch!